Sharing the road with passenger cars, or “four-wheelers,” can definitely be a pain in the “rear end” for truckers. I’m sure all big rig drivers can empathize with the feelings of frustration that arise when they’re cut off by a passenger car, or when they’re being tailgated. In fact, there are a ton of things truckers wish passenger car drivers knew. The reality of it is, if other drivers would realize these things, the road would be a much safer place! For small cars, slamming on the brakes last-minute is (while dangerous) possible. For truckers, this isn’t an option. Weighing in at 80,000 pounds, semi trucks cannot stop quickly! That said, trucks require a much larger braking distance than regular cars. Truckers wish passenger car drivers realized the distance required to bring their vehicle to a halt, and that it’s not as easy as tapping the brake pedal. Many other drivers don’t understand that trucks use air brakes, which are completely different than the brakes four-wheelers use. However, as a trucker, it’s important to keep a safe following distance between you and the vehicle in front of you. 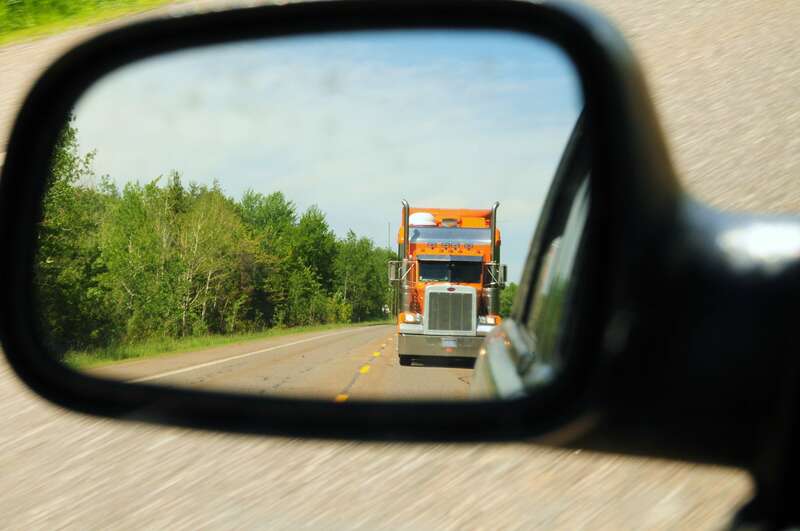 One of the main things truckers wish passenger car drivers knew is that blind spots aren’t called “blind” for no reason. Saying that a truck has blind spots is like saying the grass is green. Truck drivers want to emphasize that, most of the time, if passenger cars can’t see their mirrors, then they can’t see the passenger car. Even if the truck has hood-mounted “spot” mirrors, blind spots are still there. While passenger cars may be able to accelerate from zero to 60 miles per hour in a matter of seconds, trucks cannot. All truckers can relate to the frustration of a passenger car darting in front of their truck when accelerating from a full stop. Truckers just want other drivers to know that they’re not accelerating slowly just to be a pain in the neck; they really can’t speed up any faster! Start spreading the word to your non-trucker friends. Tractor trailers make wide turns. It’s a fact, especially when turning to the right. If only passenger cars took this into account, especially when it comes to the white stop line at intersections. It’s not there just for show! 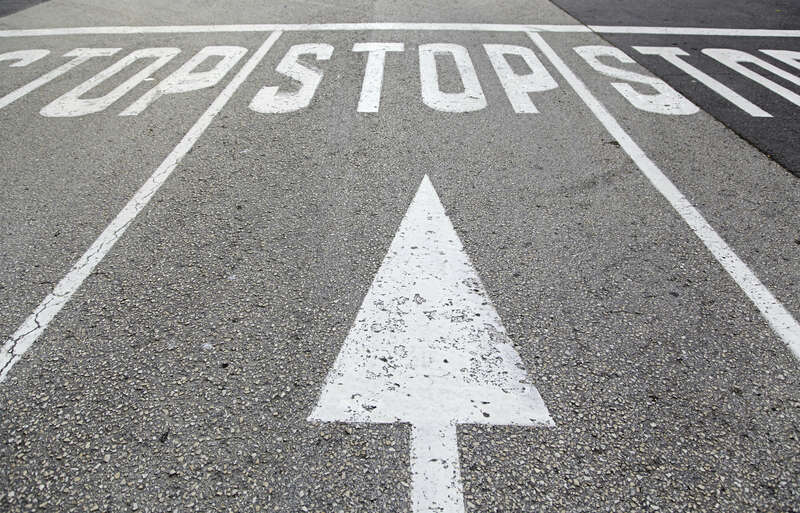 Passenger car drivers sometimes fail to realize that stopping on or in front of these lines could cause serious accidents. Even for experienced truckers, it can be hard to determine whether or not you’ll have enough space to complete your turn. Always air on the side of caution! Have you ever temporarily blocked traffic because you needed to back in from the street? It’s not easy, is it? Truckers want other drivers to understand that getting angry only makes the situation worse. If car drivers simply stop and let the driver do their thing, traffic will resume quickly with no trouble. Car drivers often fail to realize that when truckers are out driving, they’re working; they’re not just out for a joyride. A trucker speaks to this in an interview on FirstCoastNews.com: “Honestly, when you see these big trucks you have to realize that these drivers are at work, they are not just out driving. They are trained professionals going somewhere,” he said. At the end of the day, it all comes down to understanding. Truckers aren’t trying to annoy other drivers, they’re just doing their job as best they can. Can you think of any other things truckers wish passenger car drivers knew? Feel free to share in the comments below! What is a passenger car supposed to do if a trucker goes onto the climbing lane but the truck’s speed doesn’t slow down. Say he’s still running 70 and the passenger vehicle is running 70 and the trucker runs out of room on the climbing lane and the passenger vehicle has nowhere to go because there is traffic beside them and yet the truck is coming back into traffic and the passenger vehicle is right there and can’t go anywhere? I had this happen in Missouri. I ended up slamming on my brakes and the truck barely got by and luckily nobody was behind me to rear end me and push my vehicle into the trailer. Did I panic? Yes I did. Was I in the trucker’ s blind spot on the left? I had been behind the trucker when he went to the climbing lane but the climbing lane didn’t slow him down. He never lost speed. All I can still see in my mind is his trailer just clearing the right corner of my vehicle. If I hadn’t hit my brakes, he would have for sure hit me. Should I have picked up my speed when he went up on the climbing lane so as to be ahead of him when he came down? The speed limit was 70 and I had my cruise on. I thought he would lose speed not stay the same.